Fires were our frequent companion on the whole voyage. They do belong to the continent as it is a part of it's natural regeneration. 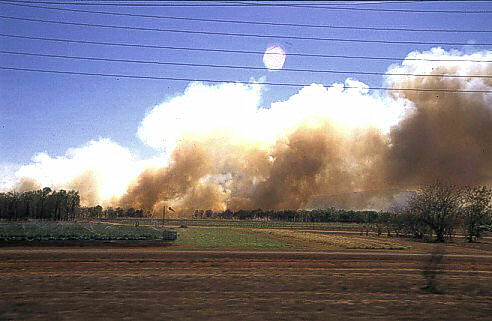 But in 2002 the hazard went to extremes, as large parts of the country experiencend the worst draught ever recorded. This picture was done somewhere between Port Douglas and Cairns.